Present day Kosovo, Montenegro, Serbia and Vojvodina. See Note at end. The actual country of Yugoslavia no longer exists. Yugoslavia (Macedonian, Croatian, Serbian, Slovene) is a name that describes three political entities that existed successively on the western part of the Balkans, during most of the 20th century. The first country to be known by this name was the Kingdom of Yugoslavia, which before 3 October 1929 was known as the Kingdom of Serbs, Croats and Slovenes. It was established on 1 December 1918 by the union of the State of Slovenes, Croats and Serbs and the Kingdom of Serbia. The Kingdom of Yugoslavia was invaded by the Axis powers in 1941, and because of the events that followed, was officially abolished in 1943 and 1945. The second country with this name was the Democratic Federal Yugoslavia, proclaimed in 1943 by the Yugoslav Partisans resistance movement during World War II. It was renamed to the Federal People’s Republic of Yugoslavia in 1946, when a communist government was established. In 1963, it was renamed again to the Socialist Federal Republic of Yugoslavia (SFRY). 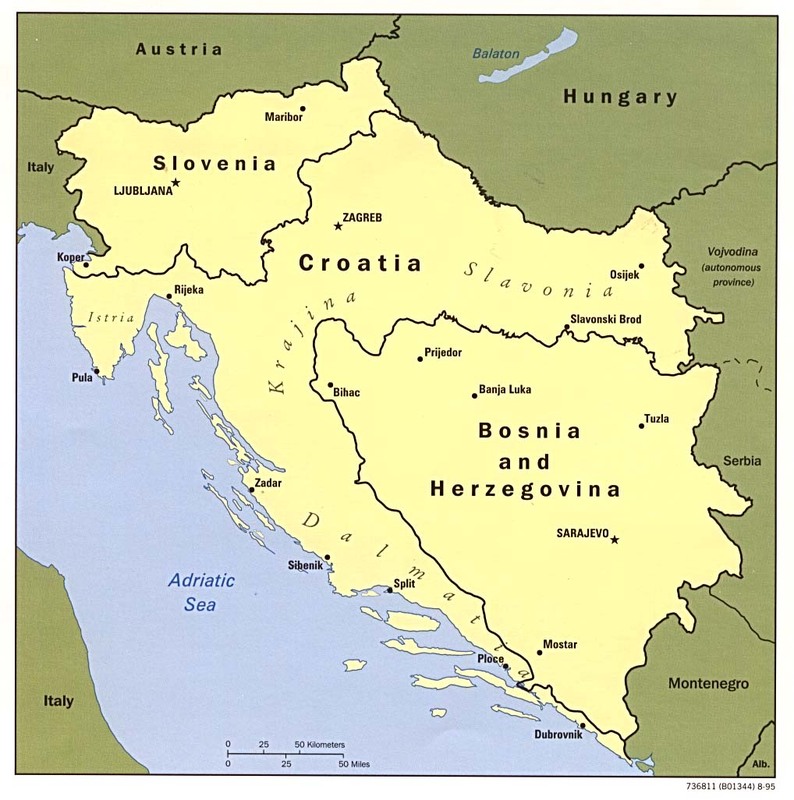 This was the largest Yugoslav state, as Istria, Rijeka and Zadar were added to the new Yugoslavia after the end of World War II. 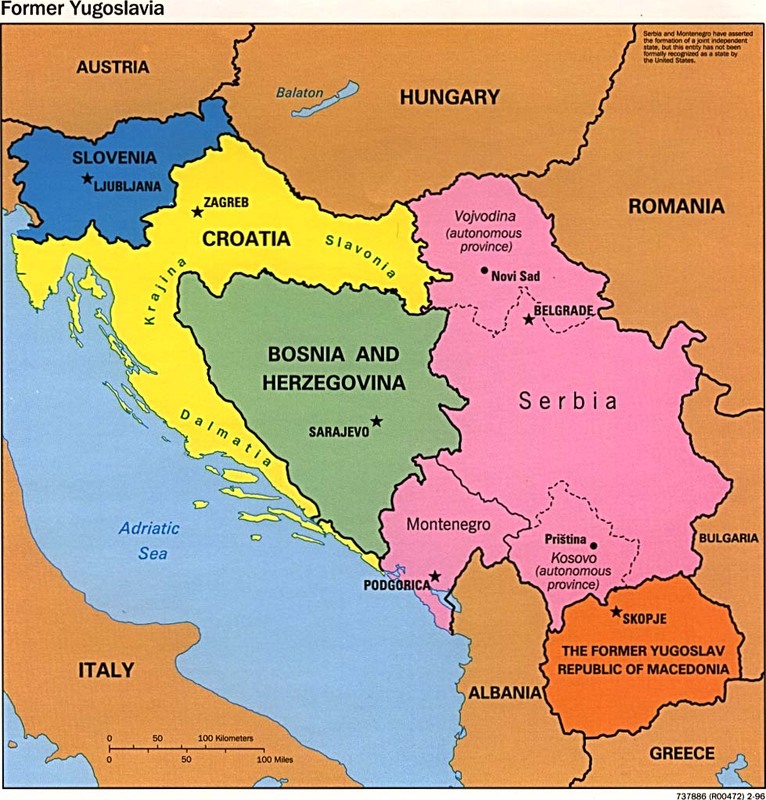 The constituent six Socialist Republics and two Socialist Autonomous Provinces that made up the country were: SR Bosnia and Herzegovina, SR Croatia, SR Macedonia, SR Montenegro, SR Slovenia and SR Serbia (including the autonomous provinces of SAP Vojvodina and SAP Kosovo which after 1974 were largely equal to the other members of the federation). Starting in 1991, the SFRY disintegrated in the Yugoslav Wars which followed the secession of most of the country’s constituent entities. The next Yugoslavia, known as the Federal Republic of Yugoslavia, existed until 2003, when it was renamed Serbia and Montenegro.